There is a six-month time limit to apply for benefits. 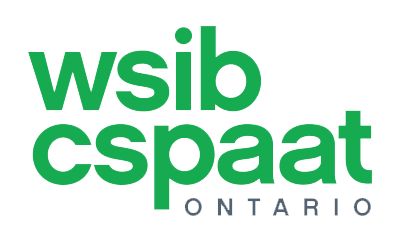 If you have missed a time limit, you should seek help from a WSIB lawyer as soon as possible. Obtain a legal representative who is competent and experienced. Please take a moment to fill out our Case Evaluation form. In most cases when you are injured, you will require some form of medication. In many cases the WSIB will reimburse the injured worker for these expenses, however they must be pre-approved by the board. As an injured worker you must provide the WSIB with the original prescriptions and receipts for all medications, assistive devices and supplies. Many injured workers will need to travel for treatment and in some instances the WSIB will pay mileage or some travel expenses. Approval must be obtained for out of town travel. If the treatment is outside of city limits but still local, the reimbursement is based on mileage. Treatment within the city limits is based on bus fare. In all cases it is important to ask for approval in advance. Often times an injured worker is unable to return to their original employment due to the severity of the injury. Injured workers are eligible for a Work Transition assessment if it is unlikely the worker will be re-employed by the accident employer due to the nature of the injury and or the injury employer is unable to arrange for suitable and available work. Based on the results of the assessment, the WSIB decides whether a worker requires an WT plan to return to the labour market. The plan should be tailored to each individual worker based on their existing transferable skills. A worker will receive benefits while co-operating with their plan. If the worker does not agree with the suggested goal chosen or Suitable Occupation (SO) they must appeal within 30 days in writing to the board. If you have any doubts that the goal is suitable you should appeal to preserve your ability to argue the suitability of the goal in the future. Far too often, disputes arise over what benefits are owed to you. Contact a WSIB lawyer who knows the worker’s compensation system. The Ontario law is complex. Employers are typically represented by competent experienced worker’s compensation lawyers who try to defeat the claim or minimize the benefits paid to you. You need a lawyer who will fight for you.